The average official exchange rate of the US dollar against the Egyptian pound in the Central Bank of Egypt (CBE) increased by 9 piasters for purchase to record LE17.84, and 8 piasters for sale to record LE17.98 for sale. The Saudi riyal price fell against the pound, recording LE4.73 for purchase and LE4.76 for sale in the National Bank of Egypt (NBE). According to the CBE data, the exchange rate of the dollar against the pound rose since the beginning of last week by about 13 piasters for purchase and 11 piasters for sale. 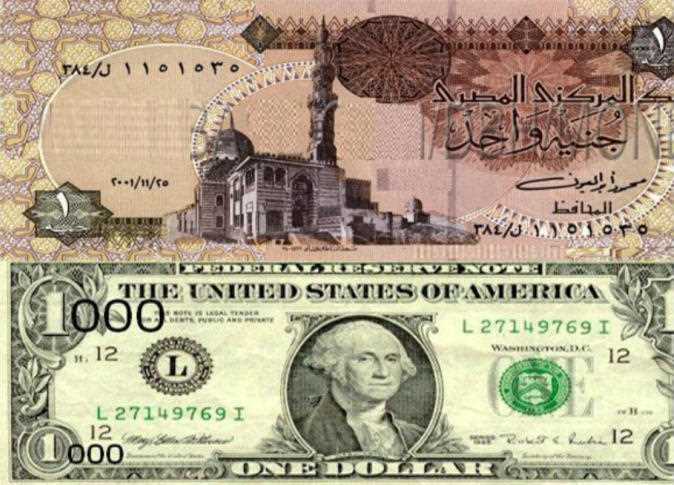 The increase in the price of the dollar domestically has been around 1.5 percent since the beginning of May, which was attributed by Alia Mamdouh, analyst at Beltone financial institution, to the continued high demand for the dollar globally. She expected the increase in the dollar prices to continue locally until global prices stabilize. The exit of foreign investors from government debt instruments does not affect the currency value, due to the existence of other dollar resources for the state, Mamdouh said. Mohamed Aboul Gheit, chief executive of investment banks at Pioneers Holding Institution, said the dollar’s rise against the pound was likely because some sale operations carried out by foreign investors in government debt instruments. This is likely due to the emergence of debt instruments and bonds in other countries, such as Argentina, with a return of 40 percent which attracted investors who aim at high yield, Aboul Gheit said. The government has issued debt instruments up to US$ 23 billion of its own debt so far as part of a plan announced in its economic and social reform program. This has nothing to do with the government’s economic performance, which is well, evidenced by IMF reports praising the outstanding performance of the government on the economic reform program, as well as the last rating released last week by Standard & Poor’s, which improved Egypt’s rating, reflecting the improved performance of economic indicators, the ability of Egypt to meet financial commitments and an increased external borrowing capacity, he added. MP Mohamed Fouad submitted to Speaker of the House of Representatives Ali Abdelaal a briefing request directed to Prime Minister Sherif Ismail and Finance Minister Amr al-Garhy regarding the policies of the CBE which increased the state budget deficit and increased inflation. The reasons for the recent rise in the dollar rate are not known. The CBE analysis will explain this, said Chairman of the House of Representative’s Economic Committee Amr Ghallab. He added that it is necessary to first know the real reasons before putting forward any opinions on the matter. The month of Ramadan may be one of the reasons because it is a large market that witnesses high demand for the dollar. There is a large number of foreigners residing in Egypt on holidays in the meantime, increasing the demand for the dollar. Umrah may be another reason, he told Al-Masry Al-Youm. House of Representative’s Economic Committee will contact the CBE to know the real reasons and study them, Ghallab said. A banking expert attributed the rise in the dollar exchange rate against the pound recently to the dividends of foreign investment companies operating in the local market in dollars. The exit of some foreign investors from the Egyptian market who headed to Argentina in search for the highest interest rates, amounting to 40 percent there, could be another reason, he added. A survey conducted by Bank of America Merrill Lynch this month found out that 30 percent of fund managers warned of three risks to the global economy: a mistake in the policies of the Federal Reserve Bank of the United States and the European Central Bank, “A trade war”, and concerns left by geopolitical conditions that could cause oil prices to reach US$ 100 a barrel. The survey showed that 79 percent of fund managers participating in the questionnaire expected the CPI to rise in the next 12 months. They also expected a decline in global economic growth, Al-Masry Al-Youm reported. Only one percent of investors expected the global economy to strengthen in the next 12 months, which is the lowest percentage since February 2016, according to the survey. Two percent of investors polled forecast a global economic recession in 2018, whereas the majority expected it in the first quarter of 2020.